The NHS should look to McDonald’s to improve its leadership, according to the Health and Social Care Secretary. 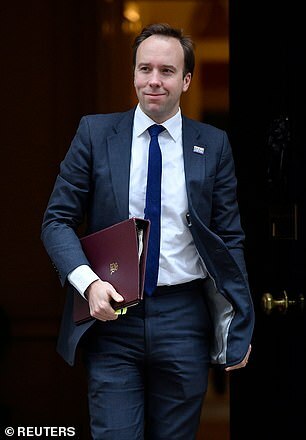 Matt Hancock praised the fast food chain’s training and support programmes in a speech that emphasised the importance of leadership in the health service. ‘They start leadership at shift manager level,’ he said. ‘They drive leadership training through every level of their company. ‘Restaurant managers learn how to develop a culture of continuous improvement, how to hold their teams and themselves accountable, and how to apply best practice for their outlet. ‘There’s a lot that the NHS can teach others, but that doesn’t mean that we should be complacent. Look at what McDonald’s does. ‘Can we honestly say we place as much time and effort and importance on identifying and supporting leaders? That we value it? However, it comes as a report today revealed ordering screens used by the public at restaurants ran by the fast food giant are covered in faeces. The NHS employed around 1.7 million people last year and is regularly noted as one of the world’s top five biggest employers – alongside McDonald’s. Mr Hancock also called on NHS Trusts to improve diversity at board level, referring to health leadership as ‘spectacularly undiverse’. He pointed to figures that show just seven per cent of those who sit on NHS boards are of a black and minority ethnic (BAME) background. And half of boards have no BAME representation at board level, despite 40 per cent of hospital doctors and 20 per cent of nurses in the NHS being BAME. ‘[This is] not just a question of justice – diversity of thought, diversity of leadership, diversity of experience,’ Mr Hancock said. 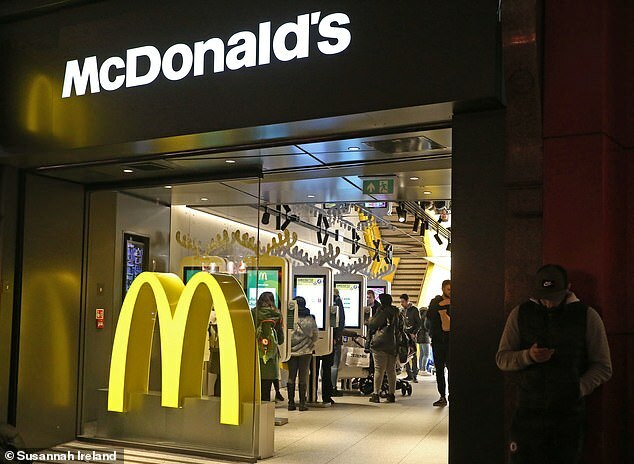 Although Mr Hancock praised McDonald’s leadership training, the chain came under fire earlier today when faeces were found on the touchscreens used to order food. Samples were taken at eight stores – six in London and two in Birmingham – all of which were contaminated with the bacteria coliforms, which are found in human faeces and can cause severe diarrhoea in those with weak immune systems.